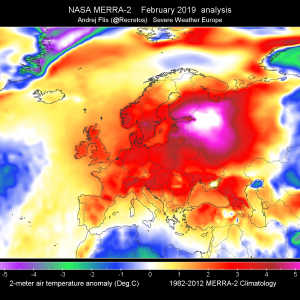 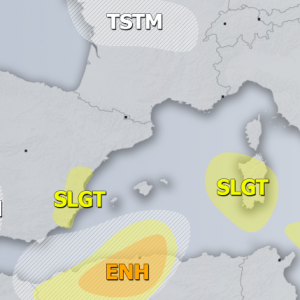 An upper low remains stationary along the central Mediterranean and brings another round of severe storms over south-central Mediterranean. 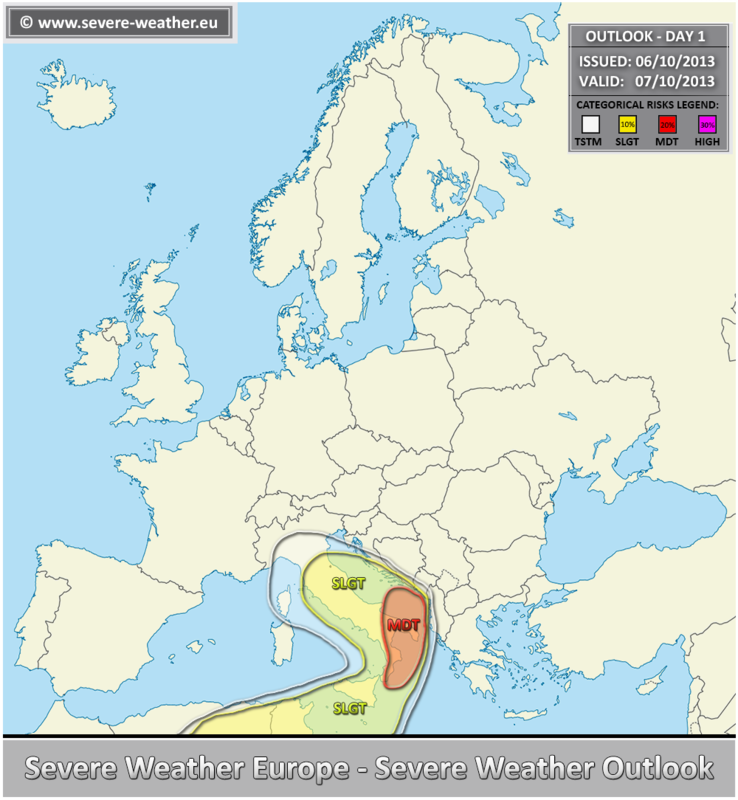 A MDT risk has issued for parts of south Italy and southern Adriatic sea with threat for heavy convective rain, tornadoes and strong winds. 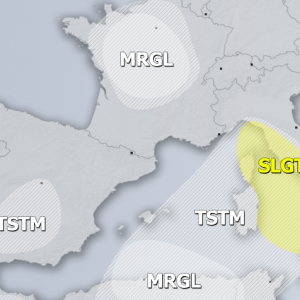 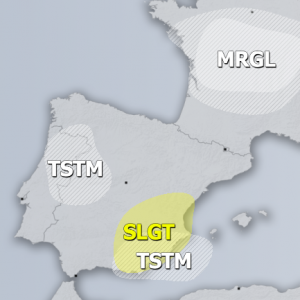 A SLGT risk has been issued for the rest of Adriatic sea, south-central Italy towards N Algeria and Tunisia with threat for heavy rain, hail, strong winds and a couple of waterspouts. 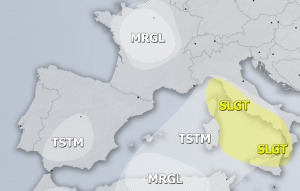 Waterspouts are also possible within TSTM area over Ligurian, Tyyrhenian and Adriatic sea.